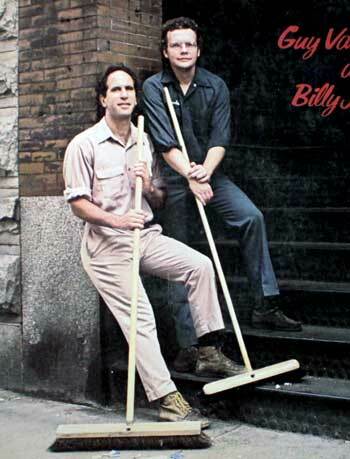 An astonishingly good pair of musicians, now celebrating an astonishing 42 years of musical collaboration. Complete masters of their instruments, Billy Novick and Guy Van Duser have been playing together a long time but give off a sense of freshness and wonder that reveals a deep continuing sense of artistry and partnership. One almost finds it hard to believe how subtly and articulately they individually and collectively weave their melodic and harmonic lines; and it all seems rather effortless. As the young guitarist sitting across from me in the club noted, this kind of mastery only comes from a lifetime of hard work. Indeed. Identifying themselves as a duo who specialize in the music of the 20s, 30s and 40s only gives a sense of what they are up to. There is a rich sense of musical history in what they do and a sweet framing of an entire era from the modest past which they cultivate and maintain with astounding capability. They are also very much at ease and both hilariously funny in a very spontaneous, non-cooked-up, way. After the show Van Duser told me that it was Novick’s fault that he himself was funny. In days of yore when Novick would pull one of his witty lines, Van Duser said he would sit there almost gaping Jack Benny style, and begin to draw laughs as a result. Now, forty-two years in, they both have a lot to say about the music itself, but also just are so endearingly human and present that it makes the experience of listening to their music, and to them, a totally engaging experience. According to Van Duser, their first collaboration was at Club Passim on February 14, 1976. So, this concert, at the very same club, was a very special kind of homecoming. They began with the Bix Beiderbeck tune, Royal Garden Blues, exhibiting their great collaboration with wonderful harmonies, with Van Duser getting to fire off some impressive initial riffs while Novick’s playing carved a loose and airy path. A cool and airily bluesy strut by clarinet opened Mine by George Gershwin, accompanied by an easily walking gait by the guitar. At times Novick’s eloquent and supple clarinet seemed to be playing in two parallel registers at once. The duo had not visited the 1928 tune Every Evening I Miss You by Billy Rose and Jimmy McHugh for twenty years, and it provided an opportunity for Novick to croon beautifully. Van Duser announced that he’d uncharacteristically be changing his guitar tuning for Wabash Blues, something he says he rarely does because he plays entirely by ear and it screws him up to try to land on a fret and expect a certain note and not find it there. An offhand wittily delivered wisecrack that he doesn’t remember becoming absentminded led right into a wonderfully easy collaboration of slow sauntering blues. 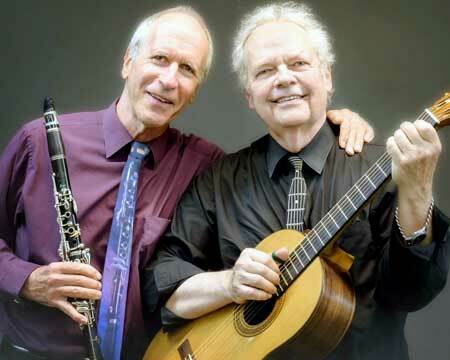 Both Novick and Van Duser are founts of endless information about their music, delivered effortlessly. With Van Duser noting that James P. Johnson, a noted musician in his own right, and, as well, Fats Waller’s piano teacher, was known as the father of stride piano – a form that evolved directly from Scott Joplin’s ragtime style – they broke into Snowy Morning Blues, exhibiting Van Duser’s stride guitar version of Johnson’s style. With an impressive array of parallel harmonies paired with intricate unison passages, they pulled it off exquisitely. At the end, however, van Duser said to Novick: you slipped me an extra chorus, you sly devil, another example of the kind of banter that made the evening relaxed and intimate, not only exquisitely musical. After a false start, Novick held up At A Georgia Camp Meeting and Van Duser cracked Don’t do that again, I’ll bang my nose. Hilarious. With a tortuously demanding part, Van Duser commented that that piece made him want to get paid by the note. Meanwhile, Novick intoned lovely echoes of his own notes jumping between octave peaks. I’ll Never Say Never Again Again provided Novick another opportunity to sing, beautifully, and Jitterbug Waltz provided the duo an opportunity to bring the Fats Waller pipe organ tune to life in lovely cascading patterns. They then eloquently rendered Billy Novick’s original composition, New Orleans Farewell a wonderfully atmospheric song, darkly evocative, with a lovely clarinet solo, movingly done, haunting, wonderful. Van Duser reported that he developed his own rendition of Caravan, the Duke Ellington and Juan Tizol classic from the 1930s, from a recording by famed guitarist Chet Atkins which he picked apart note by note and reproduced on his own guitar. Not realizing that on the recording Atkins had used an electronic echoing device, Van Duser unwittingly created an astounding manual rendition of the effect which he demonstrated in the concert, turning off and on the magical appearance of echo at will. Pretty astounding. With magical parallel harmonies, and reverberant modal resolutions, the duo brought the piece to lyrical life. After a trio of songs with Southern themes, Novick broke into singing Love Me or Leave Me, which the pair hadn’t done for a very long time and then left off midstream because he forgot the lyrics. People love it when you make mistakes – I base my life on that! added Novick, with his appealingly candid and characteristic wit – disarming, very funny, and captivating the audience even more so. Invoking Merle Travis as a thumb-picking innovator and referring to his version of the 1924 Isham Jones and Gus Kahn tune I’ll See You In My Dreams, Van Duser went on to describe a 1931 version of the song by Cliff Edwards on ukelele, also noting that in 1940 Edwards had the additional distinction of providing the voice for Jiminy Cricket when Walt Disney’s Pinocchio appeared. Van Duser gave it wings with a ukelele twist, underscored by a soft, mellow and appealing accompaniment by Novick. Novick took a turn on the tin whistle, which he also plays beautifully, but first gagged with a brief passing wry quotation of Kumbaya. 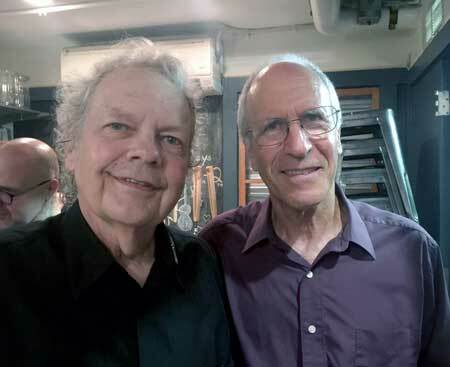 With a Scott Joplin rag and a Sousa march, both carried off masterfully, the very full evening began to wind down, leaving one with a surfeit of satisfaction, a sense of having dwelled for a couple of hours with two musical masters – a real treat indeed.